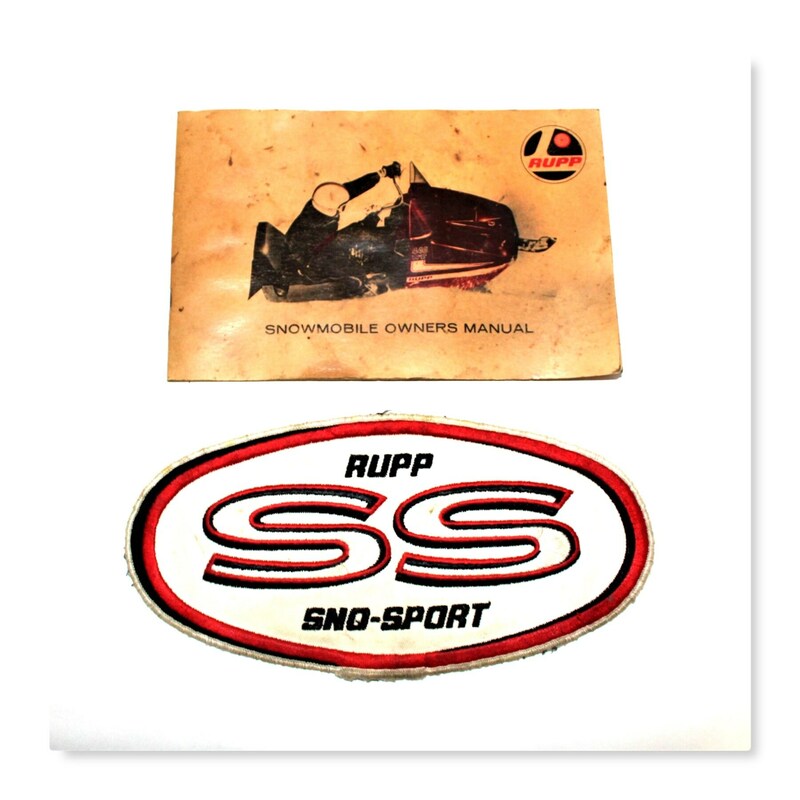 We have for sale a Vintage 1970s Rupp Snowmobile WT 440 Owner’s Manual & Rupp SS Sew on Embroidered Patch. 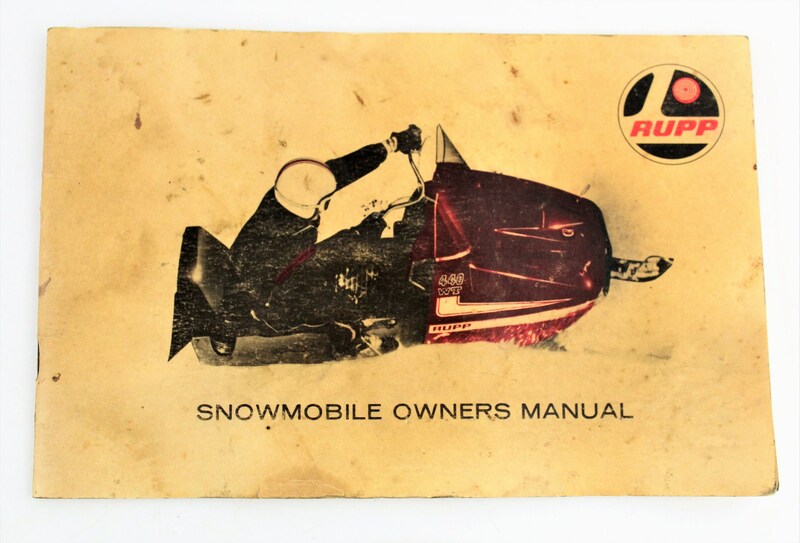 This is an original Owner’s Manual for a 1970s WT 440 Rupp Snow Machine and a Large Rupp SS sew-on Emblem Patch. This is a 27 pages manual for the RT440 engine & WT 440 machine. 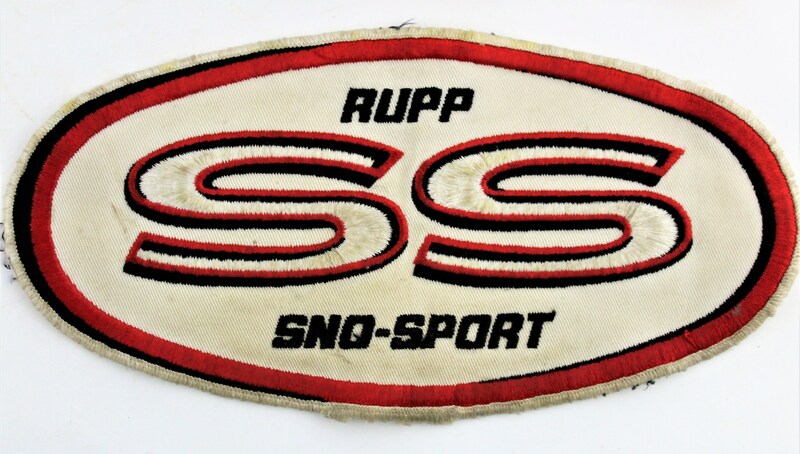 The Patch is a 1970s Rupp SS Sno-Sport measures 9.75 wide, 4.75 high. Condition: Good, Patch is lightly soiled, Manual is soiled and worn. 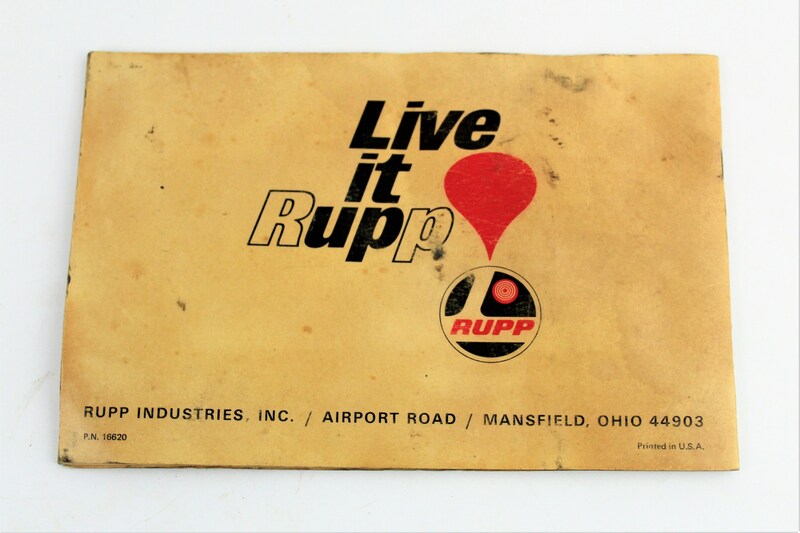 To see more of our wonderful Antique and Vintage Auto, Man Cave items please click the link below to go to our Etsy store.